Mary Greeley Medical Center is a 220-bed acute care hospital in Ames, Iowa. It’s also a leading facility in continuous improvement. 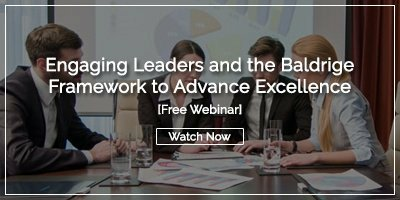 KaiNexus recently joined forces with Karen Kiel Rosser, Vice President of Quality at Mary Greeley Medical Center, and Ron Smith, the hospital’s Process Improvement Coordinator, to discuss the role the Baldrige Excellence Framework has played in their organization. You can access the full webinar here. First, supervisors must make every effort to help employees bring forward their improvement ideas, no matter how small. After improving their own departments, staff can access more education on general problem-solving skills and learn to provide better-quality suggestions. Only in the final stage—once employees are interested and engaged in the lean process—should managers hone in on the financial payback of the improvements they’ve implemented. 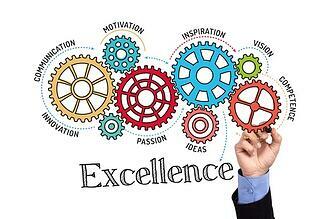 The hospital is laser-focused on the Baldrige Excellence Framework, and staff have adopted a systems perspective, an emphasis on success, and a deep value of people to sharpen their problem-solving skills. For instance, almost every department has a work systems map revealing what they are doing at the organizational level. The maps make team members feel like their work is valued, and the hospital CEO is highly engaged in each discussion. What are the problems interfering with your work? How about with patient care? Have you had any ideas for improvement lately? Do you have what you need to do your job? These questions are extremely relevant, but they aren’t the end-all-be-all of continuous improvement. In 2014, Mary Greeley launched a collaborative project known as the 100-Day Workout, with the goal of identifying an initiative in each leader’s area. Projects ranged from selling unused equipment to contract renewals—and the results were expansive. The departments completed a total of 54 opportunities for improvement as a result of the 100-Day Workout, resulting in $691,527 in cost savings, $49,084 in revenue generation, and 5,308 labor hours saved per year. The organization has since facilitated other 100-Day Workouts, and the results indicate that—per the Baldrige Excellence Framework—Mary Greeley Medical Center is getting better at getting better. Where 83% of their 100-Day Workout projects were completed with a change in 2014, in 2017 that figure jumped to 91%. In short, the dollars the hospital is saving and the revenue it’s generating are the product of learning by doing. People are generally open to change—they simply resist being changed, which is why it’s so important that they’re involved in the process. That's it for now - for more info, be sure to check out the full webinar!